Turkish President Recep Tayyip Erdogan on Thursday spoke about the “plights” and “suffering” of the Turkish Cypriot people on the 43rd anniversary of Turkey’s invasion to Cyprus. Erdogan sent a message of congratulations to Turkish Cypriot leader Mustafa Akinci on the occasion of the anniversary of Turkey’s invasion to Cyprus, on July 20, 1974. 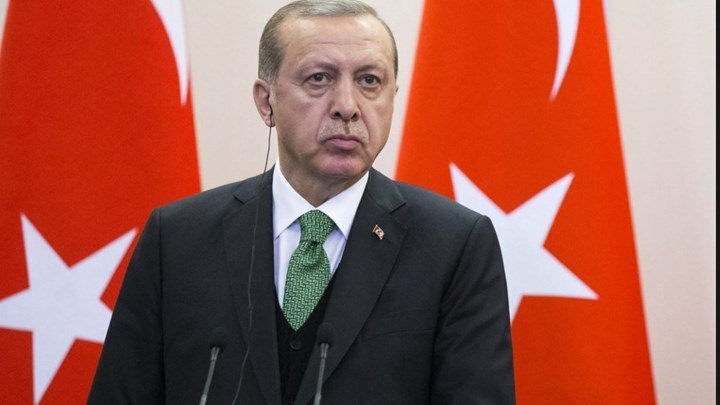 “Now no one should expect Turkey to remain a spectator as the Turkish Cypriot people are suffering because of the perpetuation of the impasse and facing restrictions that have no legal basis,” Erdogan said in the message. The Turkish president declared that the Turkish Cypriots have demonstrated on all occasions their belief in peace and their will to find a solution to Cyprus’ division. Despite the constraints they face, Erdogan said, Turkish Cypriots have also demonstrated the importance they attach to the principles of democracy. In this way they are able to deal with any kind of problem.